Hi, I’m hoping based on past experience you can tell me what kind of availability to expect when general pubic tickets become available. If I log in ~7am Paris time on 3/11, will there still be good tickets? It’s unclear from the site if all the category 1 seats were only available through the premium packages. Also, can i expect tickets for all days to still be available? I’m hoping for either both days of quarters or a quarter and men’s semi. Will i realistically be able to get Cat 1 or at least 2 seats for those days still or were they all sold to the agencies and premiums? Thanks! Hi, You don’t need to buy packages or premium to get category 1 tickets. Category 1individual tickets will be available on 3/11 but they will sell really fast. 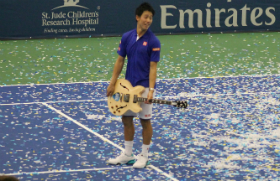 I see you have a chance to get cat 1 tickets especially for the quarters. Good luck and please tell will tickets you got! According to the email I got from the FFT, ticket sales will open at 10am paris time on the 11th. Yes, they have also confirmed on Twitter (several times!) that this year the sale starts at 10am, so 9am UK time. It’s been 3 hours earlier for the last 3 or 4 years, but previously the time varied. I believe this is the first time they’ve publicised the start time, so I’m expecting a longer wait in the queue than in previous years. This will be my 7th year of trying to get tickets—the first couple of years there were glitches in the system that made it difficult but these have been smoothed out and I’ve had no problem since. BUT I can clearly see an increase in demand, as it becomes harder to get “good” seats each year. I’m planning to take whatever I can get for the days I’m going—but it’s the first week where the outside courts are terrific value. I’ve never tried for the later rounds, but a friend of mine had no trouble getting semis and final tickets just a couple of years ago. I do wish they’d stop changing the ticketing site though, as they had it working fine a from a few years ago. All those extra pages for pre-ordering food and stuff are just distracting when all you want is to get your hands on those precious tickets! I’ve updated the post. I find it strange that they change the hour this year. Did you all managed to get the tickets you wanted? 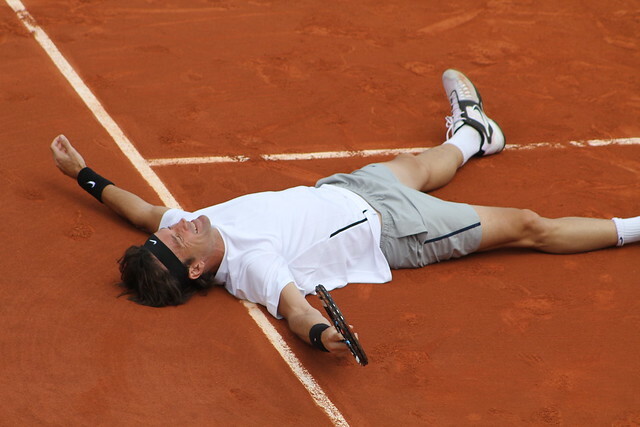 Am hoping to fulifill a real life-dream and see tennis at Roland Garros this year, with the target for the SemiFinals Mens for June 5th. By the time I got through in the virtual que this morning, no individual tickets left, and am kicking myself as I hesitated for a couple mintues to get the only option for Cat. 3 Men’s and Ladies Semifinal pass and saw (paired/2) tickets vanish before my eyes. Am trying to be proactive to identify anyone who ends up realizing they have extra tickets for this day/event. My wife and I wlll be endlessly appreciative. Does anyone know when the ticket exchange will be available on Viagogo. Is it usually April 1st? 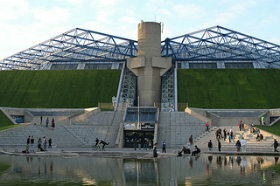 (will be anxiously trying to get a pair of men’s semifinal tickets). 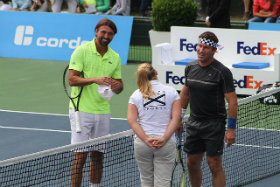 Hi Shamim, you should follow Viagogo on Twitter or Facebook to know when RG tickets will be available. on April 8th. I hold my breath and cross my fingers. 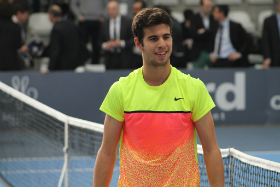 I won´t be attending Roland Garros this year (will have to postpone my dream). 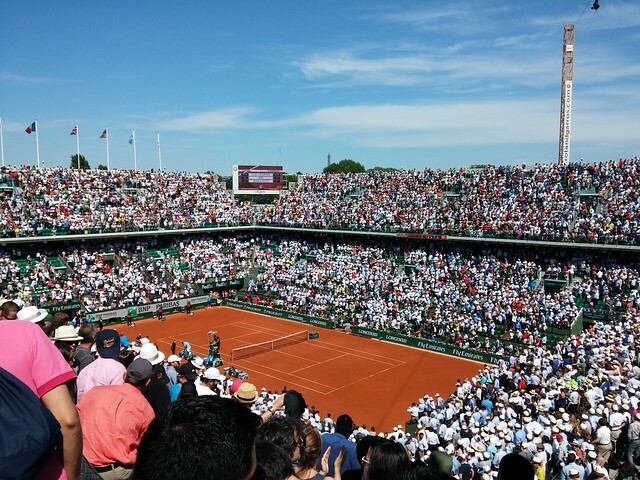 I have two tickets for each of the following days: Tuesday (Jun 2nd) – Suzanne Lenglen CAT 2; Wednesday (Jun 3rd) – Philippe Chatrier – CAT 3; and Friday (Jun 5th) Philippe Chatrier CAT 2. If anyone´s interested, I´ll be happy to provide further details. I wasn’t successful getting any tickets. 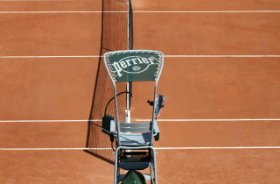 I am looking for up to 4 tickets for either Chatrier or Langlen tickets for either Sat/Sun 30th and 31st May. If anyone can no longer go please let me know as I would like to buy the tickets from you. I’m looking to go over to Paris from London for a day. All tickets on the website seem to be sold out, is it possible to queue on the day for the outside courts just like Wimbledon? Hi Paul, as I said in the article, there are no ticket sales at the stadium. You should try viagogo or evening visitors tickets. Hi. 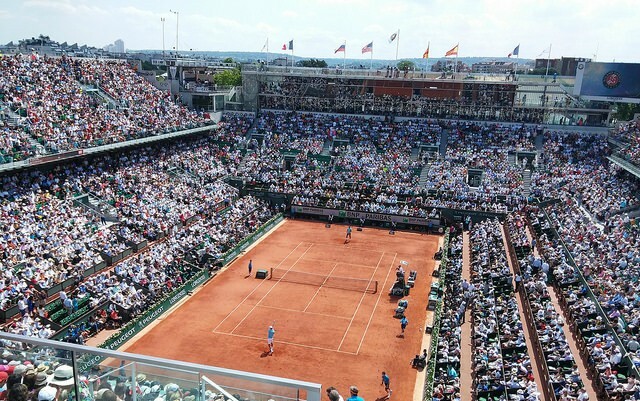 After seeing Agassi in the 1990 French Open, I am fulfilling a childhood dream and traveling to Paris with hopes of attending the French Open. I have tickets to sell for the men’s semi finales and finale. 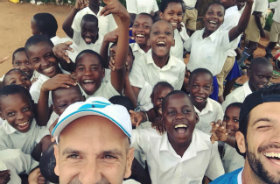 For all of you who are looking for a special experience that you can’t find anywhere, there is an Indiegogo campaign for a smart watch for tennis players, where you can contribute, and one of the perks offered is going to the French Open with a backstage pass accompanied with 2007 Roalnd Garros champ – Andy Ram. I have two questions. First, if I buy ground passes for Friday’s Men’s semi finals – what actually happens in the grounds? Will we see anything (TV screens) or just hear the buzz? Second. If anyone needs to sell their tickets for the men’s semi finals on Friday at a reasonable price (I’m a student) then I would please like to buy 2 tickets. Please email me if you have some for sale! 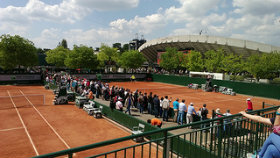 The schedule is here: http://www.rolandgarros.com/en_FR/content/the_tournament/info/tournament_schedule.html with ground passes you’ll see doubles, seniors, juniors, wheelchair tennis. Does anyone know whether there is a significant advantage to purchasing premium packages such as the ones with open bar or lunch included or are they not worth the additional price? If there are many perks and luxuries included with the packages, it may be worth it, but if the seats are similar and there are not, it doesn’t seem worth it. 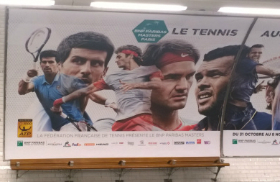 I am trying to get tickets for the men’s final match this year, but the RG official website do not recomend to buy tickets at viagogo as a legal seller or reseller. Another issue is that the official RG website says thet the tickets must have my name printed and this will be checked with my ID? If this is correct tickets from viagogo will have another name printed and not my name. Can I go in the court with this tickets or actually is checked with IDs? 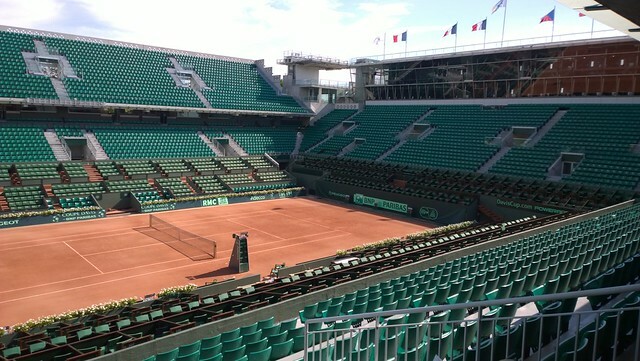 – Viagogo is no longer in partnership with Roland Garros. – You must have your name on the ticket, you have absolutely 0 chance to enter the stadium if it’s not the case. And yes, IDs are checked. For obvious reasons, security controls will be increased this year.